Marquette ignited in Mark a passion for medical software development that he parlayed into a fulfilling career, joining forces with world-renowned clinicians to produce products that have helped patients and enabled a continued cycle of innovation. 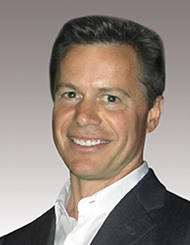 In 1992, Mark co-founded and served as CEO of Geometrics, which developed Pinnacle, the first commercial 3D radiation treatment planning system. Now a Philips Medical Systems product, the Wisconsin Alumni Research Foundation estimates that Pinnacle has been used to plan 25 percent of the radiation treatments in the world since the mid-1990s. In 2000, Mark co-founded UltraVisual and, as CEO, led the development of its diagnostic imaging platform, which captured significant market share as hospitals transitioned from film to digital imaging. UltraVisual/Emageon went public in 2005. In 2010, he co-founded Propeller Health, which uses sensors and mobile apps to automatically monitor the health and adherence of asthma and COPD patients. Propeller today supports most inhalers in the industry and is used by thousands of patients and parents. And in 2013, Mark rejoined his co-founders and close friends from Geometrics and UltraVisual to start HealthMyne. The company produces quantitative imaging tools that give radiologists and oncologists improved clinical decision support information and collects valuable data for analytics. Mark serves on the board of the Greater Madison Chamber of Commerce and several other company and nonprofit boards. He and his wife, Petra Kilian-Gehring, have a son, Nick, and Mark has two daughters, Audrey and Eileen. Fun fact: My family and I have made three extended trips to Tanzania to work with local schools and orphanages and enjoy the incredible wildlife. Marquette legacy: My father Mark Gehring, Sr., graduated from Marquette in 1960. Marquette Memory: I was in a pickup basketball game at the Helfaer Center with Doc Rivers and Terrell Schlundt — more as a spectator than a player — when Schlundt dunked and shattered the glass backboard, raining down safety glass over our heads.